Really nice and really loaded title, would you agree? It means that you are not who you were meant to be. You are someone else, and that flies in the face of determinists. Determinists say that your life is scripted, and you have no choice about it. You choose what you have in store for you. You have no free will. But the truth is that human beings do have free will. So what is this "who you were meant to be" stuff? Determinist or free will stuff... good question. Every choice is somewhat pre-determined by the past, by the family you were born into. The past gets into the choice by the mind storing everything that happened to you and placing it in your future as something to avoid, or something to repeat. When you get hurt, or laughed at, or feel ashamed about, you vow never to do that again. That places it square into your future, and it sits there, blocking your view, preventing exercising your free will, it sits there like a golem, 1 it sits there as the only choice there is. There is a favorite example I learned in a born again Christian magazine I picked up at a train station some 15-20 years ago. It has made a profound difference in my life. It has nothing to do with religion, and everything to do with explaining why our life looks the way it does, why we are the way we are. Imagine driving on a mountain road that bends around the mountain climbing higher and higher. On one side the mountain, on the other side the abyss... the ravine, the depth. It's a beautiful morning, your radio blasts your favorite music, and you love your life. As you go around yet another bend, you see, horrified, a car crash on the road. The road is narrow, and you need to choose how to avoid your certain death. Now, if you are like most people, you'll choose to look at the obstacle you want to avoid. You could crash into the car wreck. You could crash into the mountain. Or you could choose to fall into the abyss. Putting all your effort to avoid anything will do that to you. You'll crash, certain as that the sun will set on the West. Looking for the open space doesn't even occur to anyone. For you to find that, you would have to take your eyes off of what you want to avoid. Not an easy task, but do-able. Some 25 years ago, at a week long course in the mountains of New York, I learned the grace and ease that comes from looking and moving towards the open space. We were 117 people asked to walk around and not bump into each other. The room was small and the task looked impossible. "Maybe if we pretended that we are sheep, and all walk into one direction..." the mind was guessing. Then came the instructions: "Move towards the open space..."
And in the coming 20 minutes followed the most incredible experience of my life. Finding and moving into the open spaces, without ever even slowing down, without being bogged down with what (or who) were the two people enclosing the open space. If we lived this way, we could all experience a life of grace and ease. "The other is hell..." someone said, and greater truth has never been said. In life we all try to move towards the other. But the other wants what they want, and it is NEVER what we want, never what we would want them to do. But human being, conditioned by society, conditioned and regimented by the mind, always moves towards the other, hoping that this time it will be different. It never is, and it never will. But the space, the space in between that no one talks about, sets you free. In my programs, "Become who you were meant to be," I teach you to liberate yourself from this compulsion and start to return yourself to the person YOU were meant to be, so you can live a life of grace and ease. Can I hand it to you on a silver platter? No. You will have to work for every inch of this battle. I can't take you there. I can only lend you guidance on how to do it. 1. to step out of the mind. 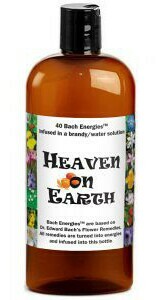 Step 2: Get the Heaven on Earth Energy Bundle in a bottle. It will help you stay out of your mind. The unpleasant feelings that you experience 24/7 don't allow you to be well and out of the mind... and if you remember, the mind is interested in keeping you the same. So it's mandatory that you spend a good part of your day out of the mind. The Heaven on Earth addresses and weakens or eliminates all 40 feeling components that are known to human beings. Step 3: Get the "Unconditional Love Activator"
It's delivered on live calls, and all calls are recorded. It will take you out of the needing to, having to, wanting to be different than you are. It's a revolutionary activator: once you get it at least 40% I can guarantee that you'll get to the other side of this human condition, this human misery and slavery. Step 4: Learn to recognize and release the machine. This is an ongoing process that will begin soon. You'll find out the different elements that the mind filed into the future, fragmenting you, and creating you barely hanging on to life. You were meant to be whole and complete, but in the process of life, in traumatic moments, you lost fragments of yourself. Without reclaiming and re-integrating these fragments, you are stuck with your experience of yourself: not good enough, not loved, not wanted, not ok. I will add the links to these steps in the coming days. If you want them urgently, just email me... don't hesitate. And if you are available on Tuesday, November 20, or Saturday November 24, I will have an online workshop, free of charge, where you can have a sense of what we do here, how I teach, and see if you can click with me or not. the link is on the bottom of the page. 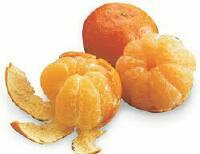 Previous Previous post: Anger, Resentment, Disappointment: How To Liberate Yourself? Next Next post: You can be joyous, you can love, you can be loved, you can be grateful… what is life for you? Anger, Resentment, Disappointment: How To Liberate Yourself?